When I look back at all the personal events that marked our lives back in 1950, when the hysteria surrounding the proximity of Judgment Day affected us catastrophically and drove us to do things we would never have dreamed of doing if we had any sense, it is completely absurd that the Jehovah’s Witnesses’ leadership now, here in 2014, seems to have begun to denounce its apocalyptic propaganda. I doubt, however, that the new signals, as expressed in The Watchtower magazine of May 2014, is anything more than a strategic manipulation of the members. In the current situation, where the centenary of the end of the world in 1914 has “dangerously” approached, the Watch Tower Society (“Watchtower”) probably does not want to encourage its supporters to look too deeply into the significance of the fact that it has now been one hundred years since the world’s political systems and governments at that time had to be destroyed in a huge inferno. The outbreak of the First World War was seen as the start of this inferno. (Charles Taze Russell often referred to this as the “burning of the world.”) October 2014, one hundred years later, could therefore end up being a fateful year for the Watchtower. Is it now finally time for Armageddon? Someone actually does expect it! The world’s systems of governments did not break down in 1914. The outbreak of the First World War, however, convinced some of the followers that Charles Taze Russell had been right in his prophecies. But the clock was ticking relentlessly and the war ended without any of the promised apocalyptic events taking place; Judgment Day in 1925, 1954 and 1975 were just strategic interludes in this huge speculative fraud with the world always near its end. This shocking text is probably only for internal purposes and aims in part to tell the members that they do not have to wait for something special about October 2014, partly to counteract that the Watchtower will be exposed to such a large pressure from members as well as its external critics, that there will be a sharp decline in membership. That the Watchtower simply would collapse, I do not believe. But that the Watchtower have themselves authored this text indicates, however, that the company’s managers are actually nervous about what this centenary may cause. The message of this latest communication, as it is expressed in The Watchtower, May 1, 2014, is apparently so that members shall reject any speculation that 2014 could be a year of crisis for the WTS Organization, that is to say, this corporation’s own Armageddon. Somewhat paradoxically, one must say! Any such critics are therefore reminded that they should not believe in doomsday prophets such as Harold Camping, implying that the WTS has outgrown this kind of madness. And when October has passed and we are well into the new years from October 2014 to October 2015 and onwards, the WTS leaders may again resort to the old trick to blow the trumpet! Indeed, the trumpet is indispensable as a driving force for the members of the sect. The almost improbable possibility is of course present that the WTS actually has changed its mind, because they have now realized that they have taken it too far with the apocalyptic trumpets since 1914. My feeling is that after the first of October 2014, there may come a drop in the activities of the WTS organization, similar to the decline that hit Russell’s association just after 1914, when a large number of members left the sect (about a quarter). This also happened after 1954 and 1975. Here in 2014, one hundred years later, some members will presumably wonder whether they can continue to believe that the world as we know it will soon end in a worldwide “holocaust.” But the majority will stick, as the Watchtower has already hinted at a new catastrophic year, namely 2034 (see The Watchtower, December, 15, 2003). 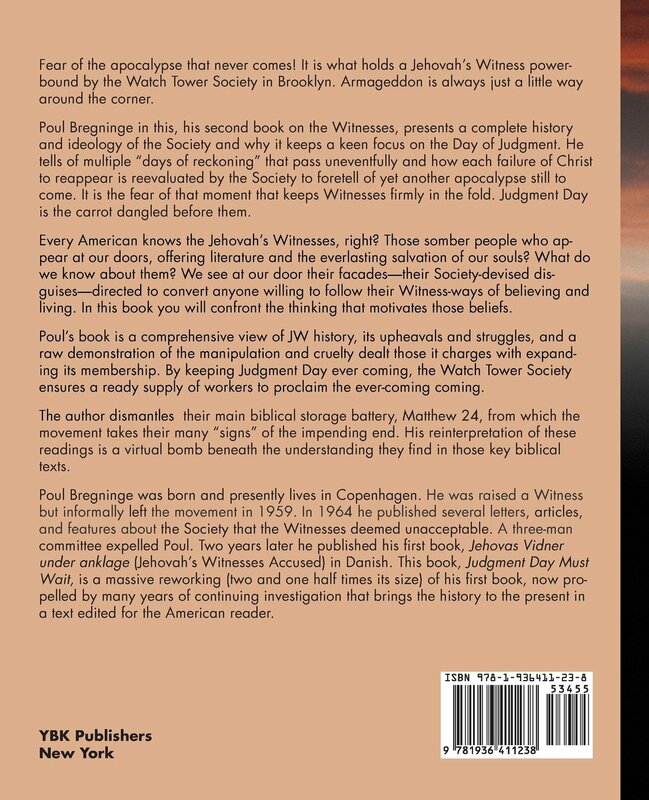 The Watchtower Society must always have impending doom as the driving force for its members. Parishioners should first and foremost be kept to the “fire”! But I admit that members’ loyalty also depends on social causes and is not solely due to fear of the coming world destruction. This is nothing strange. In this way behave both people and penguins, and so it is in all societies, religions, political parties plus ordinary associations. People feel comfortable and at home in a community with other people, as they know, whether they agree completely or have their own private, thoughts that deviate from the community’s ideology and doctrine; and very serious things must happen before they would break out of this community. Those who leave the sect must, then, often go through severe problems; perhaps a personal mental breakdown after all their values ​​have collapsed. They stand alone and may feel totally isolated, without the ballast or “extension,” that so far had been drummed into their heads, but which is now partially gone. Talking with close friends or professionals is crucial in this process. Then they might seek a new and better community that can provide an improved framework for their lives. A lot of debris from the engrafted “new theocratic human” may still be active in secret. These residues are processed most efficiently through real historical knowledge, which must be obtained in relevant books. This is not a habit that the Watchtower has encouraged. There is no doubt which book I would recommend to my reader, namely my last from 2013, Judgment Day Must Wait (JDMW). When, all these years later, I look back on this doomsday hysteria, as it has evolved since 1914, I wonder how some people, however, can possibly believe in such crazy ideas. But, of course, we personally know it well from our own time in the sect, and the realization that the whole thing was just a mix of adventure and deceit that, with difficulty, had broken through the threshold of our consciousness. We have been through the whole process since our young days, and we know it was internalized, and find it easy to understand the situation of current members. We jumped off, however, this doomsday race very early in our lives and today we count ourselves lucky that we broke definitively with the sect back in 1959, that is, 55 years ago. There are many details in this article, that some of my readers may think are unnecessary, including the picture of my sister and of myself at our mother’s grave in 1954, but this picture illustrates precisely the family disaster that hit us, and the impact that this event had on the rest of our lives. I am aware that my report may also offend some readers because they might think I make the story revolve around myself too much. But as I said, my own presentation of the story of our family is necessary to understand our entire family’s situation today, 60 years later. However, we need to go somewhat further back in time to get an overview of all the events that led us out of the Jehovah’s Witnesses. The year 1951 was, in a way, the focal point of our future. After 18 years of marriage, my parents chose to separate because of disagreement about the Jehovah’s Witnesses’ views and doctrines. They had otherwise both been transitioning out of the sect, but the doctor’s serious diagnosis of my mother’s illness slowed the positive developments which I, as a boy, had observed from the sidelines. Around 1951 to 1952 my father was ostracized because of differing views, and early in 1954, my mother died after she had refused to have a blood transfusion, approximately a year earlier. When my mother’s coffin was to be carried out from the chapel of St. Jacob Church near our home at Oesterbro, my excommunicated father suddenly made his way up to the coffin as he wanted to help carry the coffin. As I remember it, he had to practically push one of the other bearers aside. A huge outrage! Absolutely no one from the congregation, however, had approached him about my mother’s death and funeral. And I myself just followed the advice I received. My father no longer existed in the world of these people. But that he was still alive, however, he demonstrated emphatically on this occasion. And all shrank back, probably because deep inside they had understood that he had a clear right to help carry my mother’s coffin. My sister was not present. When I tell this story, it’s because it suddenly appeared from oblivion. Everything that has real meaning lies often in the details. In 1954, many members of Jehovah’s Witnesses in Denmark and around the world anticipated that Armageddon would break out in October of that year. Judgment Day could be expected at every moment and this was, at that time, our guiding principle, indeed our survival strategy. 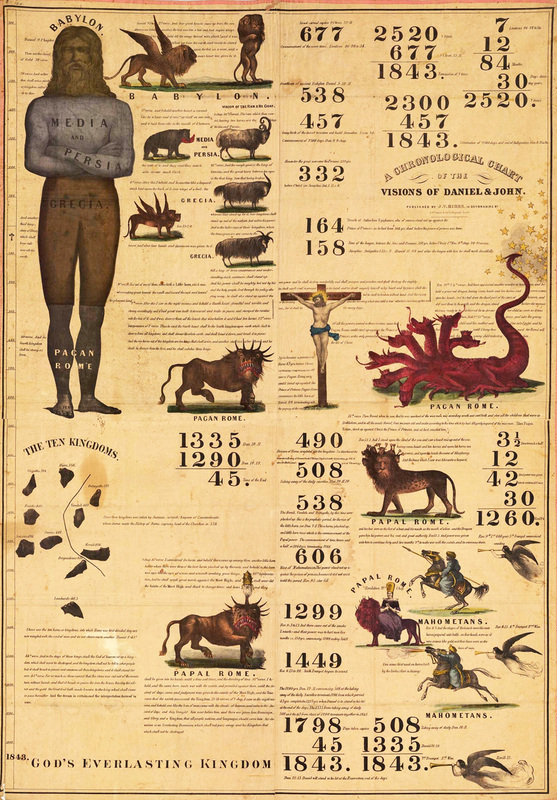 Just look at the statistics from those years. The number of members after 1954 actually shows a slight decline in membership. The year 1954 was heavily rooted in our minds at the time. My mother’s decision to refuse a blood transfusion was associated with that expectation. There were only a few months remaining until October 1954 and she would be able to get her life back—either by surviving Armageddon, or that she would be raised immediately after Jehovah’s New World was established. 1954 was the “fortieth year” after 1914, so most members looked forward to the fall of 1954 with some trepidation. Would it happen in October? Our mother just had to have known how it went next and what we now know. She would have been 101 years old this year, but would probably not have survived so long because of her cancer. I was myself a very young man, barely 18 years old, and stood with my little sister by my mother’s grave, unsure of everything. I think I was in shock, and my sister wouldn’t completely grasp what had happened. We had just lost our young mother who was only 40 years old, and our father had left home. 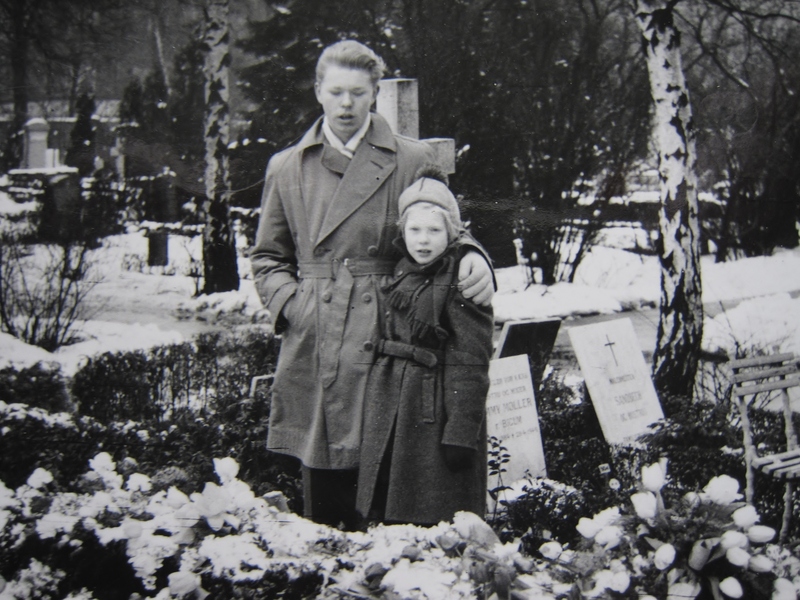 My sister Lene and I by our mother’s grave in 1954. My sister was in the care of a Witness family on the other side of the street, but after mother’s death my father moved back to our apartment and took responsibility for my little sister and the household. When my father and I could not agree because of the contradictions, my parents’ separation and the exclusion of my father had created, I moved from home. I had broken with my father because he was ostracized, and we were first reunited in 1959-60, when we had decided to celebrate Christmas together as an expression of our family’s reunion. Fortunately, however, I had my fianceé, Birgit, whose support was crucial during these years. This was the real apocalypse in 1954; our family’s collapse. It affected us all disastrously. 1955: Silent surprise—but still hints of Armageddon’s proximity. Only a few asked questions, and if they did, it happened only in close company of friends or with members you could trust 100 percent. This is how it works in any repressive regimes. The Watchtower’s annual calendar for 1955 showed a dramatic illustration that well could disturb a young man of 18 years. Was it now that Armageddon would break out? The calendar’s illustration made ​a strong impression which set itself in my memory for a long time. The drawing showed a battleground that created notions of an impending Third World War and played on contemporary fears of a full-scale nuclear apocalypse. This illustration I remember very well today, even though it is now 59 years ago. Afterwards, I realized that this kind of illustration, of burning, destroyed cities, from which we see long columns of Jehovah’s Witnesses leaving the doomed old world, only served a propagandistic purpose, with the intention of inspiring you to go out into the “service” from house-to-house and sell Watchtower’s printed matter. I went along with this as best I could. But how could we possibly have faith in these absurd fables? The realization that it was all a mix of fairy tales and fraud had still not yet broken through the threshold of our consciousness. In reality, we were not able to imagine what would soon happen. And I do not think that deep down we believed in these horrible prospects for the future. But it was difficult at this stage to reach into our inner “I” and know what it all meant. Birgit and I were married in April 1956. As a result of the “whipped up” atmosphere within the sect we chose to become pioneers in the northwestern part of Denmark, where my in-laws lived. So we stomped around on the roads on our bikes that were incredibly difficult to maneuver, especially in a headwind; and pedaling for me, especially, was extremely difficult! Eventually we gave up. The head wind was strong and when you did not have the faith, you had also not the strength, and then it was doubly difficult to ride against the North Jutland wind. This was definitely not a job that I cared about. I hated it actually! It was here that the doubt slowly began to crystallize towards its final conclusion. I admitted to myself that I totally lacked the desire to continue with this Armageddon career. 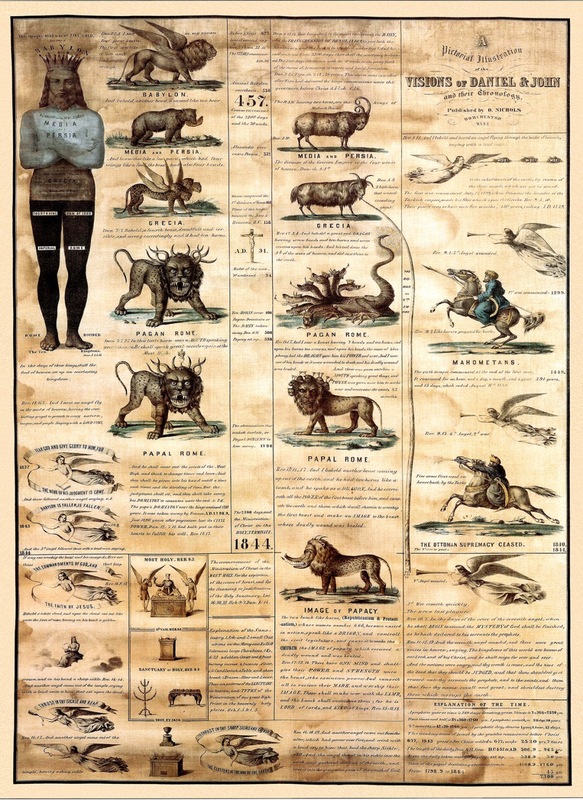 It was not a sensible job; much better to be a lithographer in a world that probably would be here long after 1957 and perhaps another million years! The sign’s fulfillment in our time; the Watch Tower Society’s divine role; the coming New World; Armageddon’s vicinity; God’s existence. Or did we originate from a long evolution? Any thoughts erupted in my head and I practiced no censorship. There were no taboos and nothing was forbidden to think. It was hard, but at the same time wonderful. Pure revelations! Now did the crucial event come, which also helped to change our life. Birgit expected our first son. This was the signal to terminate the pioneer work, which was a big yoke that was lifted from our shoulders. We moved from our in-laws, where we had lived in a refurbished attic room while we were pioneers. Our new home we found in Denmark’s second largest city, Aarhus, where an older married couple who were members of the Witnesses, rented us some rooms with a small kitchen on the first floor of their house. And I resumed my job as a lithographer in a well-known graphic company in Aarhus. 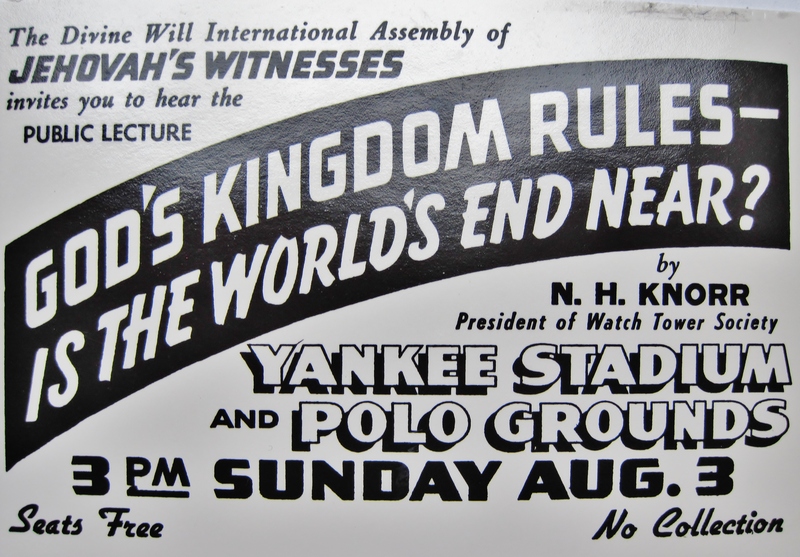 Flyer announcing president N. H. Knorr’s public lecture about the world’s imminent end, Yankee Stadium, New York, 1958. In 1958, the “doom” mood was again whipped up. N. H. Knorr, president of the Watchtower Society, gave his lecture at Yankee Stadium and the Polo Grounds on Sunday, August 3, at 3 PM. The title itself bordered on insanity: “God’s Kingdom Rules – Is the World’s End Near?” Seats Free, No Collection! A crowd of 253,922 heard the lecture; about 60,000 New York City residents were among them (WT, Oct. 15, 1958; JDMW, p. 243). Some felt by now that they’d had enough. They would not wait any longer; but they were few and often fundamentalists. These few “grumble heads,” however, had the courage to open up and speak their minds. They had gradually realized that the leaders simply took advantage of the situation and the excited mood to demand more and more sacrifices, more and more service, more and more hours in the field, more and more literature sales. The atmosphere was horribly whipped up. Still I had not at that time fully recognized what it was all about. I was still too young and inexperienced. I remember, back in 1954, when I was with a friend in the congregation doing street work with the magazines. We talked about the big, tall apartment buildings that rose around us on a busy main street in the urban district of Oesterbro in Copenhagen. The residential building and the church on the other side of the street from whose chapel mother was buried, is still there today. The only changes are the modernization of the shops that have since been made. Yet it is as if time has stood still and not left its mark. We also talked about how strange it was to imagine that these large, proud buildings from the turn of the century, 1900, soon would be only ruins. Alas, alas! We felt apparently already here that all this was too unlikely and too fanciful, although the Second World War was still evident in our memories, even though Denmark largely escaped the horrors of war. Around 1957-58, I was drafted into the army, but I did have an alternative option to be called for either the civil defense or to become a conscientious objector. I refused both because of pressure from the Danish country manager, Richard E. Abrahamson, with whom I had discussed my situation. In the current situation, I chose to be loyal to the Danish branch of the Watchtower Society, although by this time I felt that I was in conflict with the Watchtower’s views on, among others, the conscientious objector issue. Despite my personal disagreement with the Watch Tower Society, I chose still to refuse to appear in the conscientious objector camp that I was drafted to. I still found myself in the Watchtower ideology’s yarn and found it difficult to extricate myself. Subsequently, I received a prison sentence of 22 months for non-appearance. They were all assembled in an eight-man room, where they held different meetings, and in general continued their “theocratic” habits. One of the prisoners, however, read some novels and other secular books, because in that way, he thought he would learn a lot of things that he could use in the service! These young men disregarded any kind of personal autonomy and chose to obey a divine corporation in New York instead of their inner conscience. They were prepared to serve anywhere and anytime, even behind the prison walls. The fact that they violated their personal needs was both an ideal for the Watchtower and ideal for those young men, who, without being aware of it, had become recruits for a greedy monster, the Society who had seized their souls in its pursuit of cheap labor for a purpose which solely focused on making the organization in New York even bigger. These young men had entrusted the management of their lives to a corporation in New York. In exchange they got a “non-life” and an illusion forced upon them, that they were part of a universal project. They were following orders issued by a divine organization that stretched all the way out to Orion’s nebula star systems, where it was said that the god Jehovah lives. Compared to such divine proportions and universal distances you are necessarily very, very small compared to God’s Organization in New York City, where the headquarters at that time was housed. When I look back at my young life in the 1950s, it is obvious that I was different, a young man who went his own ways. Therefore, my brain not only worked hard behind the facade, but it encouraged me to make the necessary choices that would essentially change my life. The doubt had seized my mind and was not going to stop and I built up slowly to the decisive break with the Watchtower system. It was not demons that had come from the outside and had penetrated my body and soul, as if a literal virus had attacked me, but the inner subjugated and repressed voices that wanted to be heard out in the open. Looking back, I was probably a human rapidly evolving, and I was in the process of creating my own future. 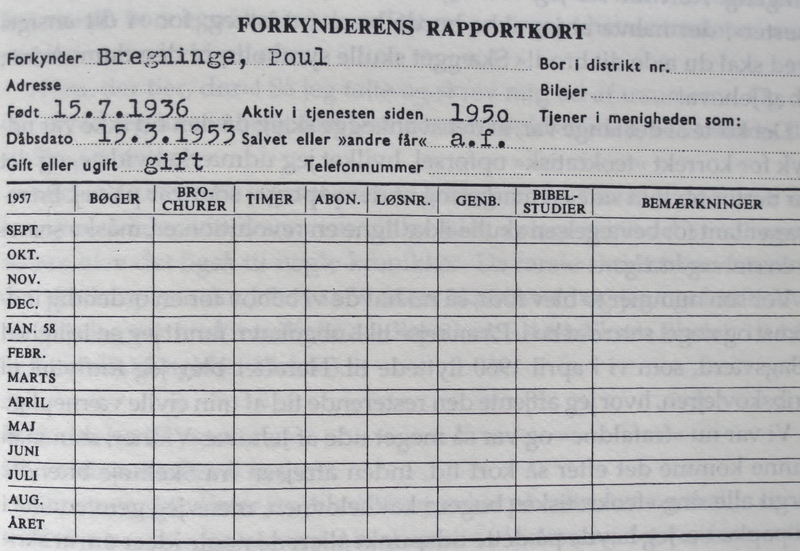 In 1958, from prison, I applied to the Interior Ministry in Denmark for clemency, so that in return they would let me transfer to a conscientious objector camp. It was what I secretly had wanted from the start. Anyone can no doubt imagine how difficult it is to break with one’s social and religious environment that still exerted strong pressure on me. Even more difficult was it to sit in jail for a cause that I no longer believed in. The transfer to the conscientious objector camp went smoothly, and I never regretted my choice. In the spring of 1960, I finished my sentence and I was again a free man. We had our first son in 1958, and in 1959 we decided to leave the Witnesses forever. After our second son was born in 1960, we moved from Jutland peninsula on the south associated with Germany, to the Copenhagen area, where we had got a small apartment. Here we lived until 1975, i.e. the year when we bought our first house. We really had quite other things to think about than a new date for Judgment Day. None of us were updated on this doomsday hysteria. We knew about it, but it went almost unnoticed by us. My wife got letters from one of her siblings that we should return before 1975, i.e., before it was too late. But we did not let this influence us. We were completely out. I had with my book “come to terms” with this crazy sect. But actually I had already addressed the issue on 1975, since in my book of 1966, I had predicted (predicted!) that the next doomsday chapter, which WTS would write, would have 1974 as the focal point. Yes, I had designated 1974 as the year as WTS would bet on. It was a pure gamble! However, I was a slightly inaccurate prophet (!) because I had counted a year wrong! It was in fact the year 1975 I should have chosen, but in 1966 I did not know that there was only one year from the year 1 BC to year 1 AD. Year “0” does not exist in the calendar. The year 1975 was mentioned by the WTS in the new book Life Everlasting-in Freedom of the Sons of God, which was released during the series of conventions in 1966 and was a huge success. The new book hinted clearly that 1975 would be a very important year and the context in which in 1975 was mentioned, clearly indicated what it was all about—what the following years up to 1975 also confirmed—that it was the arrival of Judgment Day and the establishment of the Millennium. The books flew off the shelves! This book was published in July; my book came out in September! It was just before I felt like a “prophet,” but I already knew the principles of Watchtower’s speculations as they had been expressed for many years, including in the book, The Truth Shall Make You Free, 1943 (p. 152). I treat the entire story in Judgment Day Must Wait, page 184 and pages 268-273. But otherwise, we speculated no more on this year madness. Life continued without a need to define ourselves as “outsiders” or as Ex-Witnesses. It was not until about 1990 that we became aware of this 1975 hysteria and what it had resulted in worldwide within the Watchtower sect in the following years from 1975 to 1990. Sect, or cult?? A sect is a new religion, which have separated themselves from the larger church community, often because of their radical views. The word “cult” has been controversial and it is not easy to distinguish between the two concepts. The concept of cult is far more controversial. The sect evolves often into a cult. Wikipedea defines “cult” in this way: “Cult” often carries derogatory connotations and is used selectively by proponents of mind control theory. So, sect or cult can be a matter of taste! Jehovah’s Witnesses, in fact, emanated from one or several Protestant denominations in the United States, more specifically the Advent Christian Church (ACC), which was founded between 1860 and 1864. The ACC was one of William Miller’s heirs. Much more about this in my book, Judgment Day Must Wait, that came out in the second half of 2013. Now back to the 1959. The breach itself occurred 55 years ago, in 1959. I was, as told above, a conscientious objector at this time, and we had found a small apartment between the two cities Silkeborg and Viborg on the peninsula of Jutland. In the midst of a wonderful natural area called Dollerup Hills. The apartment was located conveniently close to the conscientious objectors camp. We had been allowed to rent a small apartment from some sweet elderly Witnesses who lived in an old wooden house from 1901. We were both at this point still members of the sect. But it did not last long. We had taken all the crucial steps to put the Witnesses and the Watchtower behind us. We had stopped attending meetings. I had begun to smoke a pipe—and cigars on special occasions! A signal of independence at that time! Speaking of tobacco! It’s probably my father’s habits that I had taken over. He had, in spite of the WTS’s ban, always smoked his pipe and his cigars. No one could take that from him. So he must have really been a thorn in the side of the local congregation. He said slightly humorously before his death, that if we saw a puff of smoke underneath the old apple tree, where he often sat and smoked, then we knew that he was there, although he would otherwise be located somewhere else entirely. Nevertheless, one of the Watchtower’s leaders at the time, Joergen Larsen, who at that time was a zone servant and who later became country manager of the Jehovah’s Witnesses in Denmark, knocked one day at our door and asked for a talk with us (he also died few years ago). Joergen Larsen wanted to have us back in the WTS’s ranks. But it soon became quite clear to him that he faced former co-religionists, who had put the Witnesses behind them and had decided to move forward in life. I met him many years later in 1995 at a private meeting at a restaurant in the town of Roskilde, when I was gathering information for my book, Dommedag må vente, as Judgment Day Must Wait (JDMW) is called in Danish and as I wrote on at that time. I got on that occasion permission to buy a lot of literature and a CD-ROM containing a lot of older literature which the WTS has published, as well as some newer books that I needed. Amazingly, it was a bit of a coup! In this way I got access to the English translations of Our Kingdom Ministry, and a lot of other different Watchtower products. I was extremely grateful to him. This CD-ROM was crucial for my book. At the visit in 1959, Joergen Larsen must quickly have realized that there was nothing more for him to do. It must have been obvious to him from the very moment we opened the door, because I had grown a full beard, which at that time was not accepted by the Watchtower. He looked deprecating with his eyes, as if he had seen a terrible sight! A full beard was to be read as an expression of “opposition” to the Watchtower and underlined the fact that we were done with the so-called theocracy. Joergen Larsen got the message, I think! My “Report Card” from the congregation’s Card Index, which I kept after a Service Meeting about 1958. The immediate objective of his visit was probably that he wanted us back into the fold. The main purpose, however, was rather that he would have the two index cards back, as we at the last congregation meeting, we attended, had retained. All present members of the congregation had been given their personal “publisher’s record cards” from the congregation’s files, so that they could study if they had been sufficiently active in the house-to-house work. Ten hours a month for the service was the minimum quota of hours in Denmark at that time. Any number of hours below this level on the monthly report indicated that one could doubt our commitment, attitude and sentiment, and consequently, our survival at Armageddon. It was not said directly, but it was in the air. If we were to be safe, our preaching hours should be at least ten hours a month or more. Less than 10 hours, and you were “irregular.” Would the irregular survive? No one was safe! Everyone knew that Jehovah’s x-ray eyes observed everything and everyone from his position high over the rainbow! It was actually a huge project to rid ourselves of the Watchtower’s brainwashing, so it should be done carefully by substantial research into the issues. That was exactly what I did. Many serious considerations: doubts, questions, discussions. What about the forty indisputable “signs”? Did they come true in our time? And the forty years? How about the faithful and wise servant? Or “slave”! It was not easy to deal with all these difficult and complex issues that piled up and that should be answered and oxidized in the new fresh air, which we would now breathe freely before we could make the decisive step. We discussed and debated! At 23 years old, we felt a huge responsibility for our little family’s future. That we were “out,” one would think there should have been no doubt. Well, we found ourselves in the world we actually had always been in and, as we knew from our secular jobs, so the only real focus of our talking was about how we should rid ourselves of this unnatural community and insane project. That’s what being Jehovah’s Witnesses was. After I had done my military service as a conscientious objector, I started back to work as a lithographer in my old profession. But in 1963 came the aftermath of everything I had gone through since 1954, especially my mother’s death and the break with my father, and I got what may popularly be termed a nervous breakdown. Ten talks with a psychiatrist brought me, however, back on track, and as a result of these conversations I wrote a major feature article for a newspaper in Copenhagen on the Jehovah’s Witnesses’ movement, which was followed up by numerous letters to the editor and debate articles in various newspapers. It has probably not pleased the Society’s country overseer in the suburb of Virum outside Copenhagen who, as the Society’s eyes and ears, must have kept me under sharp observation. In 1964, when we had moved to one of the northern suburbs of Copenhagen, we were totally unprepared that the sect’s leaders would expose us to retaliation. A local ministerial servant initiated a “disfellowshipping” process against me on the orders of R. E. Abrahamson (deceased, several years ago), who at that time was country director of the Danish branch of the Watchtower Society. Whether I had already got started at the typewriter before this event, I do not remember, but the country manager’s “disfellowshipping” action against me, in fact, gave the signal to my final decision to complete my first book on Jehovah’s Witnesses. The doorbell rang and outside the front door of our apartment stood someone who we did not know; a representative of some kind. That’s what he was, he was, namely the local representative of Jehovah’s Witnesses in the area, where we lived at that time. We live in a different place today. He introduced himself and told us who he was and why he visited us. His name was T. H. Christiansen (THC), and he was a congregation servant in the congregation nearby, the one we would have been associated if we had been members. But we were not. We had never set foot in the local Kingdom Hall. THC must have been a nice guy, a former member has told me. It would be interesting today to discuss this example of religious intolerance with this man, but unfortunately he too has died. Over the years, so many of them have died, while we live on. Oddly, by this point, they were supposed to be living forever, while we were virtually doomed—forever. THC wanted to invite me to a meeting at the Kingdom Hall. Of course I was immediately aware of what it was about. But I pretended I did not understand why I should be invited. Would they give me another chance? On the whole, I played a little stupid! We had no relationship at all with Jehovah’s Witnesses in 1964. Somewhere we knew, however, that it could come. Still, it came as a surprise! I immediately accepted the invitation because I had to improvise. Therefore, it was now my plan to let the meeting be included in the material that I already was collecting for my upcoming book. Therefore, I approached my radio dealer, who willingly lent me a professional tape recorder so I could record what was going on at the meeting. I was not to have an observer present as my own witness. On the appointed day, I walked into the stairwell opposite the Kingdom Hall and started my portable tape recorder, and thereafter I walked across the street and into the meeting with a tape recorder whirring in my old, worn Witness briefcase. The microphone was positioned so that it could not be seen. But I was a little nervous that it might not work well enough. After coming inside, I was presented to the so-called three-man committee, in fact, a judicial “disfellowshipping” committee, whose members usually know in advance the outcome of such meetings. As I remember the situation, these men were incredibly silent. Not an embarrassed smile. Not any emotion. They sat rigid in their chairs and awaited events—just as it took place in a courtroom. But they must have been uneasy of the situation where they were about to deliver a death sentence! I didn’t expect, of course, that these people would shoot a bullet through my head, as was done unceremoniously in the Soviet Union in many years. No, the real purpose of this process was, in fact, that I, through the disfellowshipping process, had to be totally insulated from the members of the sect, who from now on would have no further contact with me, or talk to me or read what I wrote in the newspapers. One may not even say hello to a person who is dead! The process would also have disastrous consequences for the relationship with my wife’s family, which the country manager knew very well. The final execution of the judgment, however, was postponed until Armageddon, where all the opponents of God’s organization and Jehovah would be executed together. The scene could have been taken from the film The Lives of Others. A German movie drama from 2006, Das Leben der Anderen, about Stasi’s surveillance of writers, artists and opposition figures in the GDR. Partway into the trial I revealed that I had brought a mechanical “witness” with me into the courtroom without asking permission, and that it recorded everything said. I was not sure the microphone had optimal working conditions, of course. The room fell deathly silent! The committee members were dumbfounded, and then they leapt from their seats and assigned one member to remain with me. The other two went into an adjacent room and conferred with another brother by phone—Abrahamson at Danish headquarters. The meeting was adjourned shortly after. Later on, Abrahamson was assigned to the so-called Writing Department of the Watch Tower Society in New York, and in 1992 he was assigned to assist the Governing Body. Since then he has advanced to a high position within the parent company, Watch Tower Bible and Tract Society of Pennsylvania, where he was secretary and director. Whether his new management tasks included acting as the Society’s eyes and ears, I do not know, as I have not been able to uncover anything to support or deny it. I did learn he died a few years ago. I was actually shocked, not because I had lost my membership in a sect—I did not want to be a member—but because this creepy “cult” had again intimidated us and interfered in our lives. The disfellowshipping would affect our connection to the rest of Birgit’s family who might not have any future contact with me. It was totally unreal, but I was up against forces whose methods I was not fully able to imagine, and over which I could have no influence. This was simply the best object lesson I could possibly get. Not only was I a witness at first, but I even played the role of protagonist. The organization had spoken. There was nothing that could be done. Their decision is to be valid for all eternity. In 1966, my first book on the Witnesses was published. It was titled: Jehovas Vidner under anklage (Jehovah’s Witnesses on Trial), and it was a sales success. The book was 245 pages. 5,000 copies of it sold in Denmark in a short time. As a pure business proposition, it was a loss, although individual members of the sect claimed I had earned thousands of Danish crowns on the book. Unfortunately not! When the book was published, I was completely finished with Jehovah’s Witnesses and was not dealing with the subject for many years. We were well aware of the new catastrophic year, 1975, but did not want to spend time on this ridiculous topic. Not until the early 1990s when a number of former members came to see us. They had all read my old banned book from 1966. It was in this book that I delivered my first analysis of the Watchtower Society’s interpretation of the Gospel of Matthew, chapter 24, which has since come to mean a lot to some earlier members in Denmark, a chapter that formed the model for the current Chapter 39 of Judgment Day Must Wait, published at YBK Publishers, New York, 2013. In this chapter I analyze the most important verses in Matthew 24, and judging by the initial reactions, my criticism and review hit right into the center of the Watchtower’s doctrinal foundation. My attention was now directed towards our future in this short life. But fate, or whatever you call that kind of influence on one’s running track, had already left its merciless claws in me. I would realize my thoughts about writing a book on the sect of Jehovah’s Witnesses. But that this self-imposed task would only be finished when I had written all three books on my topic, spread over 47 years, I had not dreamed of in 1966. But it tells a lot about how difficult it is to remove the effects of religious brainwashing. However I was lucky to have a father who taught me the art of rebellion and hold onto faith in oneself. The idea of writing a book actually came up shortly after we left the Witnesses, for what reason I saved all organizational materials, all the books that the Society had released. Birgit had, on the other hand, burnt the whole shebang in our stove. In 2003 I decided then, after 37 years of basically not having dealt with the topic of Jehovah’s Witnesses, to update my old book from 1966. It became the book Dommedag må vente, released by the publishing house of Gyldendal in Copenhagen in 2006. It was this book that was developed into the last and third book, Judgment Day Must Wait, which was edited by Dawn B. Johnson, in Illinois, and released by Otto Barz at YBK Publishers, New York, in 2013. About 40 percent of JDMW consists of new material in relation to the Danish version. With this last book, I intend to finish this chapter of my books on the bizarre sect of Jehovah’s Witnesses. Already in February 2014 it was clear to me that 2014 could be a disastrous year for Jehovah’s Witnesses. In the beginning I did not want to rush into speculations, but I soon realized that the year 2014 could well offer surprises. Jehovah’s Witnesses’ Yearbook for 2014 could only report growth of about 2.1 percent worldwide in 2013. Not so impressive! That the Watch Tower Society could collapse I regarded only as a result of wishful thinking. But I had doubts. My starting point was the secular historical experiences of established political-ideological systems that no one imagined could collapse, yet they suddenly collapsed. Within a short time, “the masses” began to mobilize. They reacted against the longstanding oppression and were like an avalanche, which was impossible to stop. There were accumulated forces that were unleashed at the same time. The rebels acted as if one collective soul and body. It is this historical experience that now can hit the Watchtower leaders. A showdown may be delayed for many years, thwarted by powerful chief executives, but may suddenly break out at a time when the leaders are not prepared. Just think of 1989 and the fall of communism in GDR and Eastern Europe. Suddenly, the masses set themselves into motion and acted from the heart. They wanted, above all, freedom! A similar trend happened also recently in Libya, where the rebels suddenly swarmed forward and dared to overthrow Colonel Muammar Gaddafi. So things could go within the Jehovah’s Witnesses after October 2014 and in the years thereafter. It had lurked for years. The revolt against the Watchtower ideology was spreading in all media, Facebook and other websites, and suddenly were the mentally imprisoned Witnesses completely open to the new situation. They were liberated, relieved. They could talk. They could discuss without being banished to a desert island! How could they have been blind for so long? And many tried to excuse themselves. And they will probably live on this excuse for the rest of their lives, without going into their deeper motives’ and substance. The subconscious mind is difficult to open and hard to control. Yet, if one is open and responsive to the signals from the inner oppressed voice, in time one will hear the echo of the cry of the oppressed. Suddenly, the rebellion of the masses appears like lightning from a clear sky, as the GDR collapsed during such an unbelievably short time. It was incredible! The worst thing was all those who had spied against their loved ones. Wife and husband, and even the kids! Do you recognize it? The end of the Jehovah’s Witnesses’ story is not written yet, as their descendants may still exist in a hundred years. Or a thousand! They will of course try to find the basis for a “new beginning,” so that the illusion can be maintained and restored. There will in fact always be some idealists and lunatics who will stick to the naive, wild illusions. With their impenetrable mind they show how effective the brainwashing program within the Watchtower system has been the last hundred years. I’d probably pack my suitcase as soon as possible if I found myself in the same situation as many adherents of the Jehovah’s Witnesses perhaps do today. After all, it is not too late to make a fresh start. But I’m probably too optimistic! Some information about Poul Bregninge’s books can be found on Amazon and elsewhere on the Internet. Fear of the apocalypse that never comes! It is what holds a Jehovah’s Witness power-bound by the Watch Tower Society in Brooklyn. Armageddon is always just a little way around the corner. 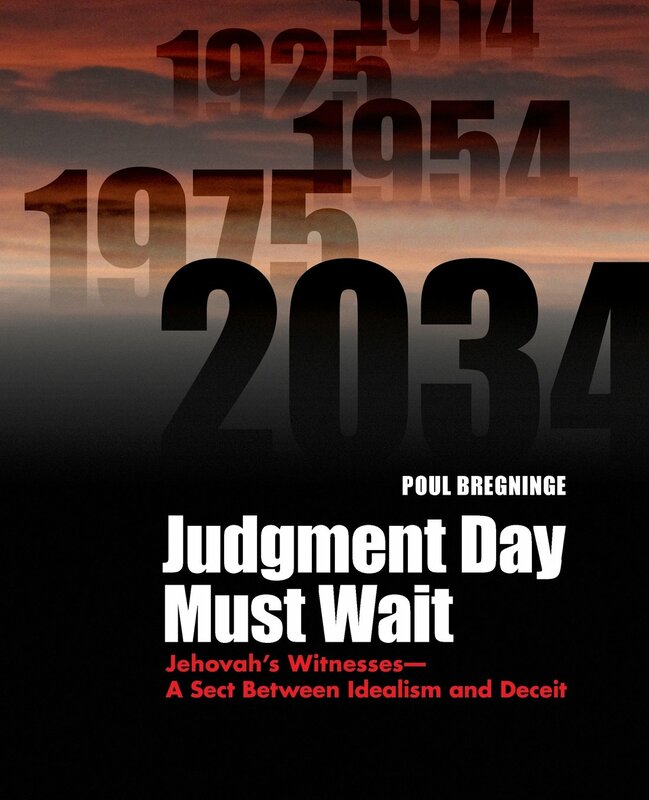 Poul Bregninge in this, his second book on the Witnesses, presents a complete history and ideology of the Society and why it keeps a keen focus on the Day of Judgment. He tells of multiple “days of reckoning” that pass uneventfully and how each failure of Christ to reappear is reevaluated by the Society to foretell of yet another apocalypse still to come. It is the fear of that moment that keeps Witnesses firmly in the fold. Judgment Day is the carrot dangled before them. Every American knows the Jehovah’s Witnesses, right? Those somber people who appear at our doors, offering literature and the everlasting salvation of our souls? What do we know about them? We see at our door their facades-their Society-devised disguises-directed to convert anyone willing to follow their Witness-ways of believing and living. In this book you will confront the thinking that motivates those beliefs. Poul’s book is a comprehensive view of JW history, its upheavals and struggles, and a raw demonstration of the manipulation and cruelty dealt those it charges with expanding its membership. By keeping Judgment Day ever coming, the Watch Tower Society ensures a ready supply of workers to proclaim the ever-coming coming. The author dismantles their main biblical storage battery, Matthew 24, from which the movement takes their many “signs” of the impending end. His reinterpretation of these readings is a virtual bomb beneath the understanding they find in those key biblical texts. Poul Bregninge was born and presently lives in Copenhagen. He was raised a Witness but informally left the movement in 1959. In 1964 he published several letters, articles, and features about the Society that the Witnesses deemed unacceptable. A three-man committee expelled Poul. Two years later he published his first book, Jehovas Vidner under anklage (Jehovah’s Witnesses Accused) in Danish. This book, Judgment Day Must Wait, is a massive reworking (two and one half times its size) of his first book, now propelled by many years of continuing investigation that brings the history to the present in a text edited for the American reader. Poul Bregninge’s parents became Jehovah’s Witnesses when he was 2 years old. His mother died 16 years later in 1954, refusing a blood transfusion for a life-saving operation. Five years later, Poul and his wife stopped associating with the Witnesses, which in 1964 resulted in his being interrogated by their Elders and then ostracised from the JW congregation. Since that time, Poul has been completely cut off by all members of his wife’s family, who would have nothing to do with him; loyalty to the organisation must override the family. Most of them are dead, without reconciliation being reached. After he was ostracised, in 1966 Poul wrote a book that exposed his thoughts and his experiences. And then he closed the door, or so he thought: for 37 years later, he pulled out his books and notes, then he researched and studied intently. The result is his book of almost 600 pages, “Judgment Day Must Wait”. When Poul writes of the physical and emotional hurt he experienced, it is possible to sense his emotions. He also introduces the sufferings experienced by other Witnesses, as they recount their personal stories. But “Judgment Day Must Wait” is far more than personal testimonies. With objective balance, Poul recounts the story of the movement that shaped his formative years. He provides a thoroughly detailed account of the organisation’s story from its formation during the 1870s through to its most recent days. Poul provides a very human and balanced account of the people who shaped the organisation and his early life. Highlights include the machinations involved with the debacle associated with 1975. Poul concludes his book with a critique of the Watchtower’s interpretation of chapter 24 in the Gospel of Matthew. As with the rest of his book, Poul’s analysis is thorough and it is fully supported with documented evidence. He sees that the existence of the movement depends on its interpretation of that apocalyptic chapter, and he shows why its interpretation is unacceptable. As an added bonus, Poul provides the texts of rarely-seen documents. 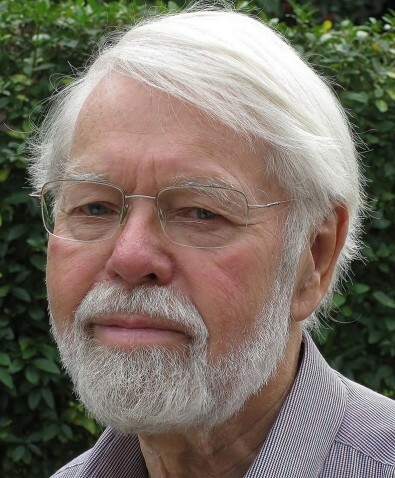 At each stage of his book, Poul shows that while the organisation is forever raising feverish speculation over the imminence of Armageddon, nevertheless at the same time it prepares for delay. Although it keeps pressing that the judgment is coming and is almost here, through its actions and plans the organisation denies this. The feverish bursts of speculation serve to keep JWs busy and to increase the number of JWs. Poul also shows the hints that the organisation provides at the directions it might take – more speculation followed by another delay. Its history keeps repeating. Poul has produced a thorough, well-documented book, one that I highly recommend. Reading your final two sections, October 2014 & Only a Vision I would like to say that I believe your thoughts on the possibility of there being a quick collapse of support for the Church more a probability than a possibility. Like you I am a felon due to refusing to do community service in lieu of military induction per direct instruction from Brooklyn as that would violate conscience, in 1967 . So I have been around for a while. Reading the stories on this site there is the bringing on one site a vast amount of research [ especially 1914 ] that has opened the eyes of many. But the same reality remains as to the nature of people to over look researched proof when credulity controls the minds. I believe your thoughts as to the possibility of there being a internal implosion will come about more from a public humiliation of the Governing Body then the opening of eyes as to there teachings. I have been lead to believe that the main tool to accompolish that task will be the sexual molestation issue. Then when I read of the Candace Conti case here in California that was a real WOW moment for me. Since then I have been focusing on the efforts of the host of this site and others who are setting in place media outlets to deal with the impending “Armageddon” of molestation law suites. As for a single event that could trigger a melt down of the church that you allude to, I like many are looking to the Appelate Court decision on the Watchtower’s appeal of the Candace Conti case. That case was filed with the Court September 2013 and has yet to be put on the Court calender. I too have done a 24 year writting project. That project consisted of letters that was made part of a District Assembly talk last year dealing with “Human Apostates” that made your Danish newspapers as “hate speech” in violation of article 266b of the Danish criminal code. This per lawyer Niels-Erik Hansen head of the Documentation and Advisory Centre on Racial Disrrimination according to newspaper Kristeligt Dagblad. He stated article 266b was instituted because of Hitlers treatment of the Jews. At the center of my thesis is the Gestapo / WTBTS policey of having informants rat on their brothers Lev.5:1. Currantly that thesis is setting on the desk of a master researcher waiting to be graded. By profession I am a heavy duty truck mechanic, I am self employed doing repairs on the side of the Interstate freeway, meaning make a mistake one could end up dead. So the profession and the cirmstances one has to be able to think out side of the box. I too am isolated from 5 sons, their wives and 9? grandchildren, the rest of the details are right there with the worst of the stories others have dealt with. The diffrence between my story and the others on this site is that the stories here are of people who have invested much time, effort, money to educate people as to the deceptions of the WTBTS. Me I play a rougher game, […] . I have used my technical training to think out side of the box so as to humilate the Governing Body by using their local Elders involvement in a securties swindle to publicly humilate the Governing Body. It is long mental chess match between myself and the Service Dept. Evidently from a reliable source I did acheive the distinct fame of writing the most offensive letters in the USA aimed at Merton Campbell the f*ing idiot who overseen Northern California Service desk. So for what ever that all means, I was impressed with your vision of how the Church could implode in a short amount of time. Thank you very much for your contribution here. In fact, You inspired me to write the following article that I have posted on all four of my Facebook pages. Therefore, you should consider the following as a comment on the above post written by you. Many greetings and thanks, Paul Bregninge, Denmark. In my personal story on the new web page that [name removed] is behind and which was published October 1, (http://www.ad1914.com/), I discuss the possibility that the Watchtower sect, the Jehovah’s Witnesses, may risk to be dissolved within a short time. In any case, JW can be depleted considerably. A kind of implosion, a collapse or breakdown. I believe that there are already clear disintegration. I have no numbers, no statistics, no graphical presentation of the possible development. It is also possible that I and others put too much in these prospects. One must not forget the glue that JW’s community represents. It’s not always just about doomsday fears, but also on the social identity. It is, perhaps, when it comes down to it, the strongest factor. But the amount of Ex-JW associations that have occurred within a relatively short time is striking. Some are created to disseminate accurate information about WTS / JW, others (most) has a promoter as the protagonist and initiator, offering a residence in the transition from JW to the Old World. Perhaps a new apocalyptic sect emerge from this heap of new anti-JW-associations. (Although I find it hard to believe.) It is hard to predict, but if one uses historical experience, anything is possible. The JW-sect may explode or rather implode, which it did for the Bible Students after 1914-1916, when it became abundantly clear that Russell was nothing but a charlatan who gave himself far too much importance and therefore, in order to strengthen his own sense of self-esteem, had deceived a whole generation of apocalyptic visionaries. As you know, started almost all Russell’s closest associates new ridiculous sects,in which they saw themselves as the main character or even as the Lord’s chosen servant in Matthew. 24:45. Al the naive idealists stood by the implosion back, stripped naked, as fools and ridiculed, and not without reason! What should they do? The new man at the Borg, “the Judge JFR,” started in reality from scratch — but at the same insane basis, and today we see what all this dishonesty and amateurism led to. Disaster, disaster and again disaster! Thousands of families ruined! Disillusioned people. Deceit on deceit! Therefore it is hard for me to believe anything other than WTS and especially JW will “implode” within a relatively short time and that out of the ruins will be new absurd survivors with new crazy ideas. Failing this, it is yet another example of the absurd’s amazing strength and ability to survive. THE QUESTION is now: Will the WTS and JW rupture and dissolve in a relatively short time? QUESTION 2 is then: Where can the deceived and disappointed go? To some of the newer “Jesus-churches?”; to the large, old, established churches? Or just to a life of preliminary reflection on the past’s mistakes and tomorrow’s opportunities. But do not forget the past, it will and can indeed be crucial for the future of a fresh start after JW. All the former Jehovah’s Witnesses’s personal experiences, including my own, must surely be an asset to the account, which may influence the future direction of roads and new philosophies of life. In fact, we often also established our personal philosophy, while we were members of the sect. If so, then build on this foundation. Read my and the other authors’ personal accounts at: http://www.ad1914.com/ (available October 1, 2014). My book, Judgment Day Must Wait, can be purchased on Amazon.com: http://tinyurl.com/kbsdhcb. The website of mine: http://judgmentdaymustwait.com/ Here you can read reading examples from JDMW. Best wishes, Poul Bregninge, Denmark. The title of this article refers to an illustration which the Danish graphic artist Palle Nielsen has done and which I have used on four of my Facebook pages. Title: Blasting of the old house!